Talk Title "how to imprint music in the digital age"
As music becomes more intangible is it losing its art and ability to imprint? By exploring the bridge between the tangible and digital we can see how to get the best of both worlds and create meaningful experiences around music which impact on the audience in profound new ways, whether that’s using music to reanimate people living with dementia - taking music into the furthest reaches of both science and technology - or having music exhibited and celebrated as art in some of the world’s leading museums and institutes. Either way, in this streaming age, it is time to redefine music’s relationship to us going forward and celebrate its unique ability to move, restore, connect, inspire in ways that are essential to our humanity. Beatie Wolfe performs at SXSW's inaugural European Festival, Me Convention alongside A$AP, Beth Ditto and Iggy Azalea. 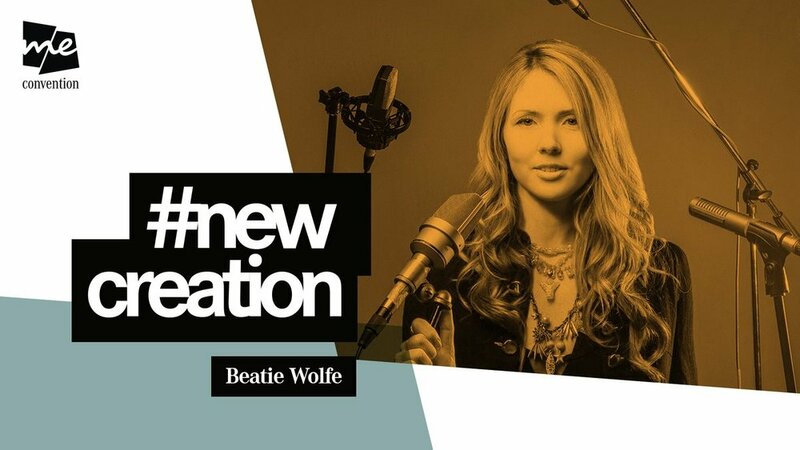 Beatie Wolfe shares her "How to imprint music in the streaming age" experiences on stage at the Me Convention alongside Buzz Aldrin, Hans-Ulrich Obrist (Serpentine Galleys curator) and Sheryl Sandberg (Facebook's COO).